Please refer to our stock # TIB-012 when inquiring. 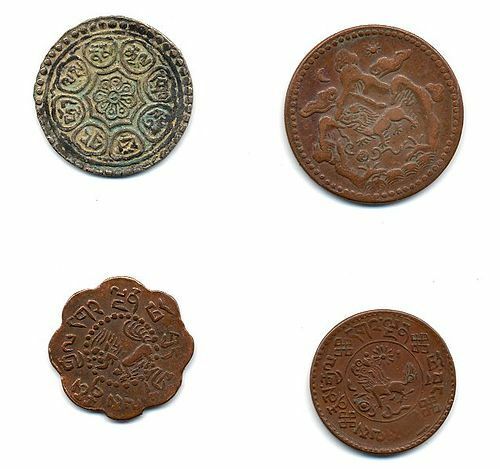 Four rare coins from Tibet with various denominations and sizes. Sizes: 2.9cm to 2.3cm.